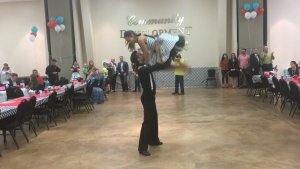 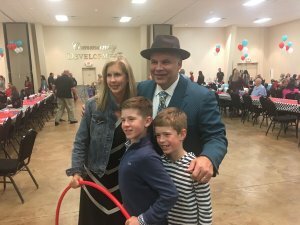 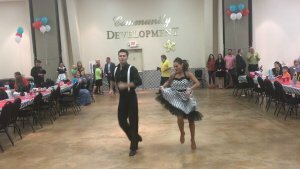 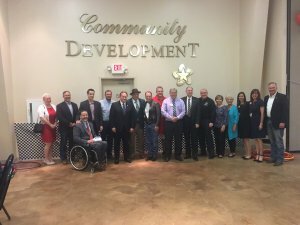 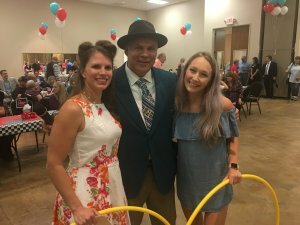 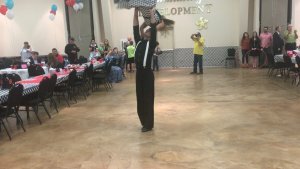 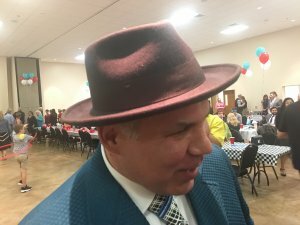 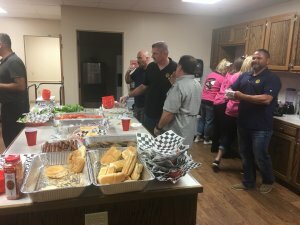 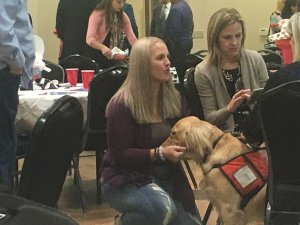 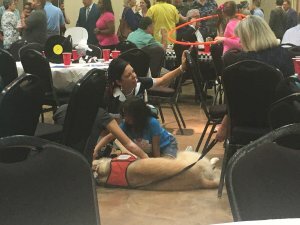 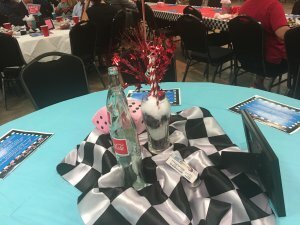 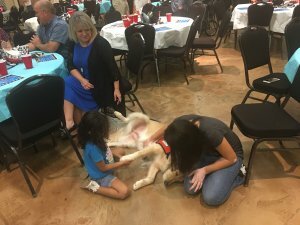 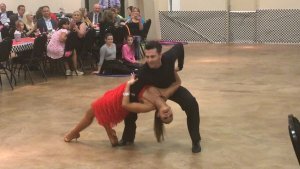 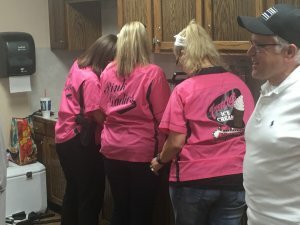 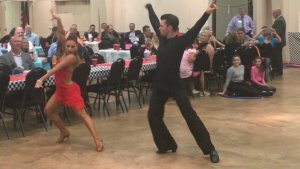 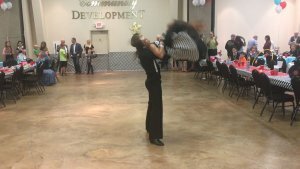 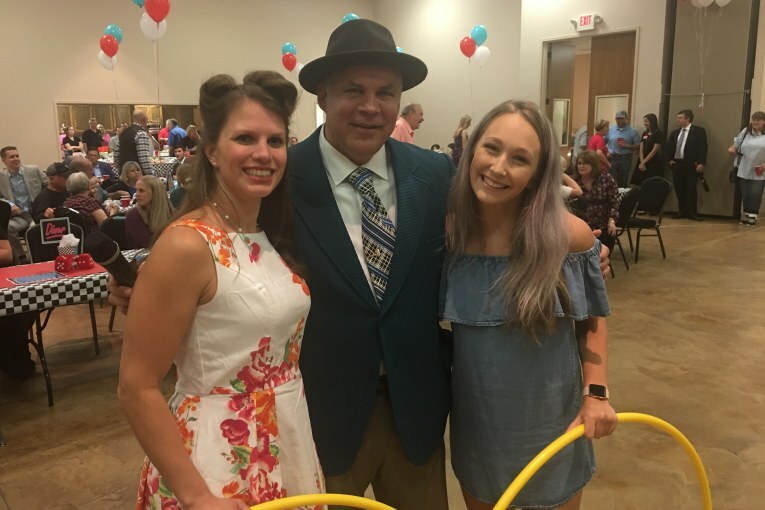 Hundreds attended Montgomery County District Attorney Brett Ligon’s 50th birthday bash at the Willis Community Center Tuesday night. 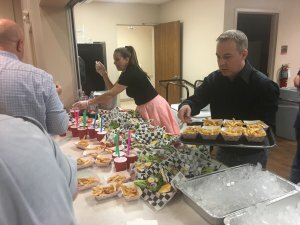 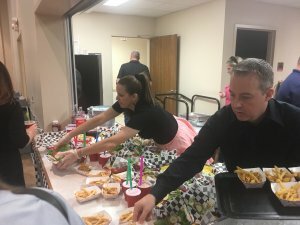 The theme was 50’s and it showed throughout, hot dogs, hamburgers, hula hoops, and milkshakes. 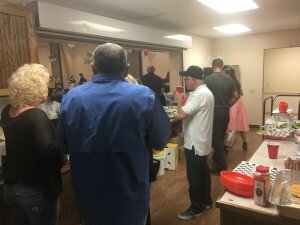 With the intense storm outside it was hardly noticed by the well-wishers. 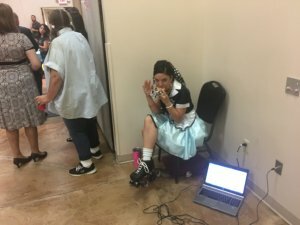 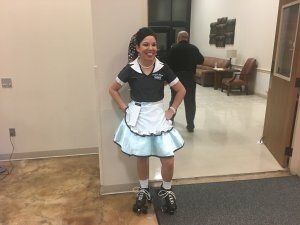 Servers were dressed as 50’s waitresses from the 50’s and 60’s complete with roller skates. 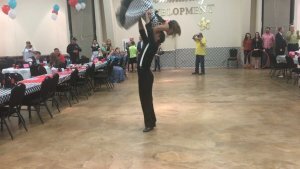 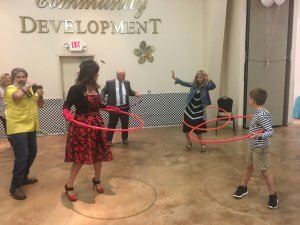 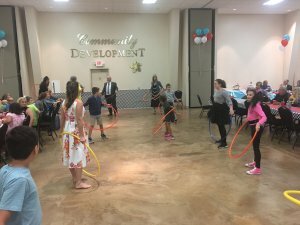 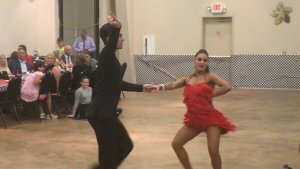 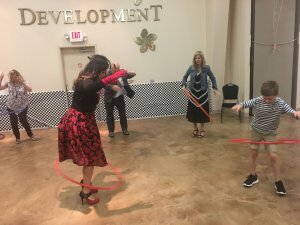 Besides a dance team making it look like the Montgomery County Version of Dancing With the Stars a hula hoop contest was held. 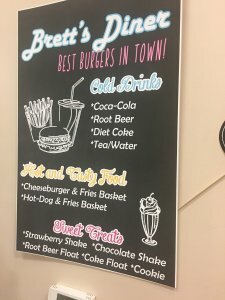 After five minutes of non-stop, it was called a draw, HAPPY BIRTHDAY BRETT LIGION.